Choosing to take on the role of Caregiver can be daunting. The paperwork alone is overwhelming, let alone the emotional, physical and financial toll it can take. Where can you turn for help? 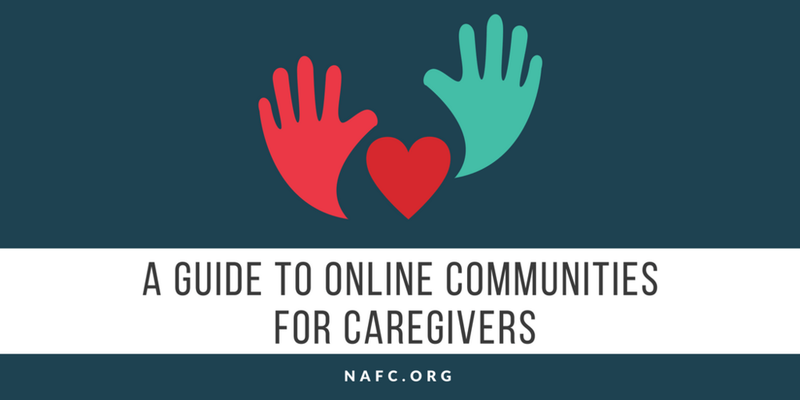 Luckily, there are a number of great resources out there to help you navigate the various tasks of caregiving. See below for a list of organizations that offer help and support. 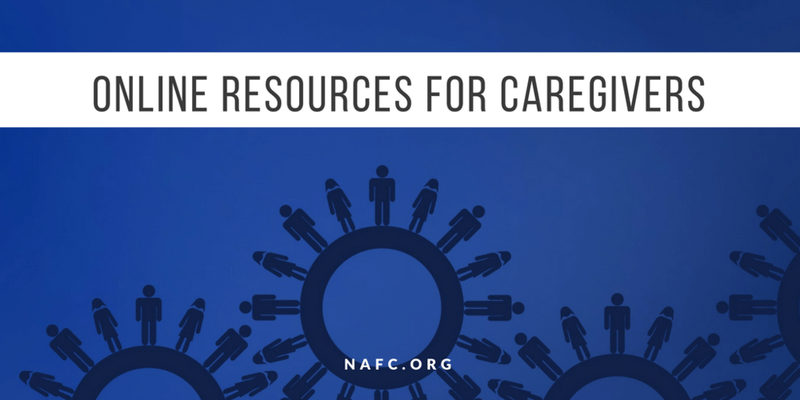 For a more complete list of resources, visit the Caregiver Action Network’s comprehensive list. What Marilyn didn’t realize was even having her mother home with her would end up being a huge financial strain too. The extra help she needed from regular nursing aid visits, the supplies – they all added up. “It really put a financial strain on my family”, said Marilyn. Most family caregivers are unaware of the high cost of caring for a loved one at home. Calculating these costs in advance can help you know more of what to expect, and can help you evaluate if it’s truly something that will work for you. The best thing to do? Start planning early. Set up a savings account now for yourself, so that you can be better prepared for the future. Next, talk with your loved one about what they’ve already done to plan for their own long-term care. You may qualify for tax breaks, or credits, or you may be able to utilize an employer FSA (flex spending account) to help cut some costs. Talk with your employer about your situation too. More companies are starting to offer benefits to caregivers, such as helping to pay for backup care, or advisory services to help you navigate the many aspects of caregiving. Even if your company doesn’t offer these formally, it’s still a good idea to have a discussion with them about your situation. There may be ways for you to work more flexible hours in order to manage the demands of caregiving, or even take some paid leave to assist with your loved one’s needs. Some big-name companies, such as Facebook, Microsoft, and Deloitte all offer different amounts of paid leave programs to care for loved ones. In the end, making the decision to become a caregiver is a personal choice. The rewards of caregiving can be great, but it can also come at a high personal sacrifice – both financially and emotionally, for you and your family members. Do your research, and be sure to have an honest and open discussion with everyone involved. As we age, it’s normal to need a little help. Most seniors function just fine; it’s just that sometimes, support from loved ones can make a positive difference. That’s why you're ready to help your parents or senior friend. Decades ago, you had to live near a senior in order to offer help. If you lived far away, there really wasn’t much you could do; however, technology has changed a lot since then. These days, you can provide some form of assistance even if you live on the other side of the country. But before you can delve into tech like this, it helps to understand what kind of help seniors often need. Financial problems brought on by less income and more healthcare expenses. Ageism, or discrimination and prejudice based solely on the senior’s age. Mistreatment or even abuse by people who should be providing care. Loneliness and few opportunities to socialize. Depression and similar mental health issues. So how can you help your senior loved one manage these challenges when you live far away? With all of the advancement in technology these days, there are tons of apps, sites, and individual pieces of technology that can help you offer assistance no matter where you live. For example, video chat can help alleviate loneliness and strengthen bonds between a senior and their family or loved ones. Video games can provide the mental stimulation needed to help fight dementia and can be a source of socialization. There are even health trackers that share information in real time. The beauty of this technology is that all of this can be done when you don’t live nearby. Tablets, smartphones, and iPads for photos, music, video chat, reading, and games. Hearing aids to help with the loss of hearing that often comes with age. Wireless home monitoring systems in case of medical emergencies. Assistive technology such as LED lighting or stove shut-off systems. Smart home technology that gives seniors the freedom to live independently. There are plenty of other ways to help besides providing tangible technology options. Did you know there are a variety of services available online that you can set up from your phone or computer? For example, if your senior has difficulty getting to the grocery store, Caring.com lists meal delivery services that can provide regular groceries or complete meals delivered directly to their home. If your senior loved one needs some extra help around the house, there are plenty of online options for housekeeping, pet sitting and lawn, and handyman services. These are only a few of the options available, but they go to show that it’s easy to connect your senior loved one with the right kind of assistance through the touch of a button. It’s challenging to take care of a senior from afar, but technology truly is making things so much easier. Once you’re familiar with the typical problems seniors face, you can help by providing your senior with technology that can boost their independence, or by using online services to give them some peace of mind and assistance. By incorporating the benefits of technology into your long-distance caregiving, you can stay connected and involved. In some ways, it might feel like you were never gone. They say two heads are better than one. And the old adage of a village raising a child isn’t just made up. Building community is key to longevity, positivity and happiness, and overall health. People need other people and that need couldn’t be more apparent than during the aging process. Aging is much like growing up. It’s uncharted territory fraught with new experiences and changes in the body. Unfortunately, experiencing aging alone is more common that we realized. The U.S. Census Bureau reported 11 million or 28% of people aged 65 and older, lived alone in 2010. As spouses and family members age and die, the likelihood of living alone increases. Although living alone and spending time alone isn’t a problem in and of itself, it can lead to isolation, which can lead to depression. Additional strains of loneliness include physical health decline, vulnerability to elder abuse, cognitive decline, high blood pressure, and pessimism about the future. Some experts point to these statistics as reasons for community care with other elders or co-housing. So how do caregivers or individuals in the midst of aging create or find community? They build relationships and attachments to recurring activities and engagements. We recommend starting small and branching out. Look around your neighborhood and see if there are opportunities for friendships with neighbors. Or beyond the fence-- go to your local senior center and try a new class. Building habits around time spent with other people is crucial. The importance of that time can’t be stressed enough. Click here to watch one of our favorite examples of the beauty of community. How have you seen community benefit the aging process? Sally was 56 when she first decided to invite her dad to live with her. He was 80 years old and had been suffering with a slight form of dementia for a few years. Recently, his episodes had gotten worse and she decided that the time had come where she simply could not leave him on his own. Because she was an only child, most of the burden of care fell on her. And while she was happy to do it, it was more challenging than she could have ever realized. Her already busy life was suddenly filled with even more responsibilities: helping him with his daily activities, accompanying him to doctor’s appointments, researching medical needs and performing tasks that were new to her. It didn't take long to reach the point where her career was suffering. While her boss was understanding, she had to reduce her hours just to be available to her father when he needed her. The financial strain was as great as the emotional one. Sally’s issues aren't unique. So many who find themselves in a caregiver role are forced to make the same sacrifices, and the stresses can be overwhelming. And now that our population is aging quickly, these issues are only going to increase. The AARP estimates that by 2050 there will be only 3 potential caregivers for every person aged 80 and above. That’s a drastic difference from today’s 7-to-1 ratio. Why the sharp decline? In just 10 years, the oldest of the Baby Boomer generation will be slipping into their 80’s, and with them, the need for additional care. Unfortunately, with the population expected to grow at just a 1% pace over the next several years, the caregiver ratio simply won’t be able to keep up. The AARP estimates that over the next several years we’ll see a steady decline in the ratio of caregivers to older adults, with the sharpest decline happening as the Baby Boomers reach their 80’s. What are the implications here? In the coming years, caregivers will need more support than ever before. The greater number of caregivers will create an increased need for nationwide Long Term Services and Support. And workplace policies will need to accommodate flexible work schedules to allow caregivers the extra time they so desperately need. In addition, care for the caregivers themselves will need to be addressed to ensure that they have the tools to take care of themselves, as well as their loved ones. Things such as providing extra funding or tax credits to caregivers, creating more resources for caregivers to ensure they have the tools and skills needed to care for their loved ones, adjusting FMLA laws to allow for greater workplace flexibility and time off, and making adjustments to medicare and medicaid to cover caregiver coordination services are just a few of the things that can be done to avert this growing crisis. Putting these types of resources and policies in place is crucial in the coming years if we want to support the caregiving community and our growing, older population. Will my loved one be treated in a respectful way? How will the nursing home help my loved one participate in social, recreational, religious, or cultural activities that are important to him/her? Do the residents get to choose what time to get up, go to sleep, or bathe? Can the residents have visitors at any time? Can they bring pets? Can residents decorate their living space any way they want? Are the residents able to leave the premises? What services are provided? Are they the services my loved one needs? Can we get a copy of any resident policies that must be followed? What’s a plan of care, who makes it, and what does it look like? Will my loved one and I be included in planning my care? Who are the doctors who will care for my loved one? Can he/she still see their personal doctors? If a resident has a problem with confusion and wanders, how does the staff handle this type of behavior? Does the nursing home’s inspection report show quality of care problems? How often are residents checked on and what is the average wait time if they need assistance? Is the nursing home close to family and friends? Is a bed available now, or can my loved one’s name be added to a waiting list? Is there enough staff to give my loved one the care he/she needs? Will my loved one have the same staff people take care of him/her day to day. What type of therapy is available at this facility? Is there a social worker available? Can we meet him or her? (Note: Nursing homes must provide medically related social services, but if the nursing home has less than 120 beds, it doesn’t have to have a full-time social worker on staff. Does the nursing home have food service that my loved one would be happy with and can they provide for special dietary needs? Does the nursing home provide a pleasant dining experience? Does staff help residents eat and drink at mealtimes if needed? Are there options and substitutes available if they don’t like a particular meal? Is my loved one’s primary language spoken by staff that will work directly with them? If not, is an interpreter available to help them communicate their needs? Does the nursing home provide a safe environment? Is it locked at night? Will my loved one’s personal belongings be secure in their room? Is there an arrangement with a nearby hospital for emergencies and can personal doctors care for my loved one at that hospital? Is the nursing home Medicare- and/or Medicaid-certified? (Note: “Certified” means the nursing home meets Medicare and/or Medicaid regulations and the nursing home has passed and continues to pass an inspection survey done by the State Survey Agency. If they’re certified, make sure they haven’t recently lost, or are about to lose their certification. Talking about incontinence is never easy. Whether you are the one experiencing it, or someone close to you has been exhibiting symptoms, it is a conversation that most dread. However, sharing this struggle with a loved one is perhaps one of the best things you can do in your path to recovery. With a little advanced planning, a deep breath, and some honesty you’ll be able to get past this and move on to the next (and more productive) phase of this struggle – treatment. When you’re the one struggling with incontinence. Believe it or not, you may actually be on the easier end of this conversation. As embarrassing as it may feel to open up to someone about this, if you are ready to do so, you have likely accepted that this has become a problem and are ready to receive support. And who better to provide that support than a trusted friend or loved one? Opening up to someone may not only provide you with the physical help you need, but also lift an emotional weight off your shoulders. You don’t have to suffer through this alone. When your loved one has incontinence. If you’ve been noticing that a loved one seems to be having problems with incontinence, it may be time to talk with them about it to see how open they are to treatment. This can sometimes be difficult – it is very likely that the person knows they have a problem, but may be too embarrassed to talk to anyone or do anything about it. Depending on your relationship, it can also be hard for your loved one to admit. For instance, a father who is cared for by his son or daughter may feel too proud to discuss this with his kids. Start the conversation slowly by asking them about their general health, then move on to some of the signs of incontinence that you’ve noticed. Be prepared – they may get defensive and try to hide the problem. If that happens, try again. Be patient with them and try to be as accepting and understanding as possible. In time, they will likely open up to you once they see that your intentions are good and you are there to support them. Our last tip? Get some advice from those who have been there and understand. As life changing as it may be, you are not the only one in the world who has ever struggled with this condition. Whether you are looking to reach out to others who are experiencing it, or others who care for an incontinent loved one, there are many people out there who are discussing their problems on message boards and online forums. Check out the NAFC message boards to get some tips on how others have touched on this delicate subject.